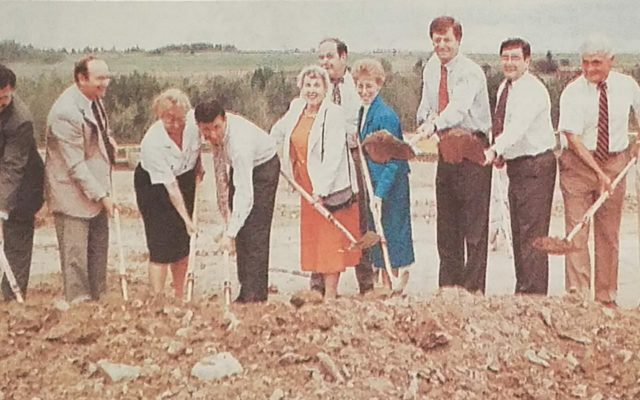 Even before the Aroostook Centre Mall opened in Presque Isle in 1993 people were skeptical that it could survive, the common joke being that it was destined to become the region’s largest potato house. But the mall has stayed open for almost 25 years and it has plenty of life left, said Patti Crooks, who has been the mall’s manager since 1995. “It’s a prime candidate for repurposing. I’m optimistic,” Crooks said Wednesday, one day after the Star-Herald reported that the mall was up for sale. At noon on Oct. 31, the mall will be auctioned off for the second time in 20 years, after the second owners of the mall, New York-based Sitt Asset Management, failed to meet payments on its mortgage. Crooks said she’s looking forward to working with new owners on both attracting traditional retail stores and finding new uses for vacant spaces. Crooks grew up in the Chicago area in a family of retailers and has spent her whole life in retail and real estate, including as part of the original team that redeveloped Boston’s Quincy Market in the 1970s. By the time she moved to Presque Isle, though, the Aroostook Centre mall was in trouble. The mall was proposed by New York developer John Capenos in the early 1990s as a retail shopping destination for Aroostook County and western New Brunswick. Capenos said the stores in the mall could employ between 800 and 1,200 people, according to the Bangor Daily News archives. Construction began in 1991 but was delayed for two years as the developer secured a loan of $35 million amid a downturn in the national economy, according to the BDN. By the time the mall opened in November 1993, the federal government had announced it was closing down Loring Air Force Base. The eventual closure in September 1994 led to a 15 percent decline in Aroostook County’s population. Capenos dismissed concerns about the mall’s viability and in 1994 pitched the idea of building a 2,200-acre casino and four-season resort at the soon-to-be-closed Loring. By 1996, the mall’s first manager had quit, subcontractors were suing the builder over unpaid wages, the mall owner was suing two stores over unpaid rent, and the property was refinanced amid less-than-expected sales. At the same time, officials in towns such as Caribou, Houlton and Madawaska saw the mall as taking business away from their traditional merchants. JCPenney, which today is the last of the mall’s anchor stores, closed long-time downtown shops in Houlton and Caribou when it opened its big box store at the mall. 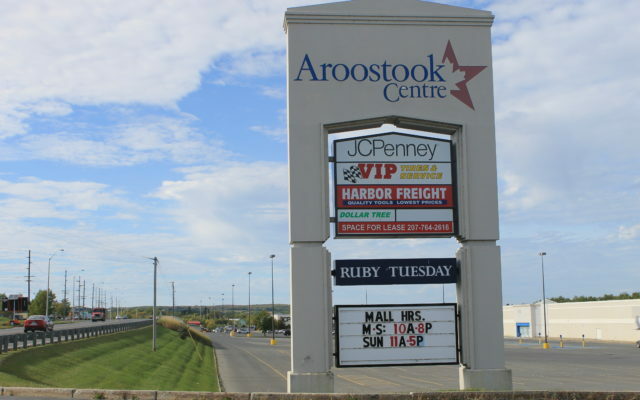 The Aroostook Centre Mall was put up for auction in 2001 and was purchased by the current owners for $10 million, which was less than half of its appraised value at the time. Some 1,500 shopping malls were built in the U.S. between 1956 and 2005 — along with many more strip malls — with the 1990s seeing a boom in retail construction that outpaced population growth in many places, according to Time Magazine. Since 2002, however, many malls have experienced store closures and sales declines, while at the same time that online shopping has became more affordable and accessible. In June, the financial company Credit Suisse predicted in a report that 25 percent of American malls — more than 200 properties — could close by 2022. Despite its vacant space, the Aroostook Centre Mall is the second-largest property taxpayer in Presque Isle, with its real estate value assessed at more than $13 million. Today, the 22 tenants at the mall, which include a freestanding Lowe’s, employ about 300 people, according to Crooks. At more than 500,000 square feet, the mall “was probably overbuilt for retail purposes,” Crooks acknowledged. While the mall was blamed by some for drawing business from Main Street, it is now Walmart that may be the largest competitor for retail consumers in Presque Isle. But Crooks argues that the mall is still an asset to the region and has the potential to meet a range of community needs. “There are four classes of shopping centers,” she explained. Class A shopping centers are in relatively affluent, populous markets and have more than 90 percent of their space leased. Class B shopping centers are the ones “across the road” from the Class A ones and less successful. Class C malls, like the Aroostook Centre Mall, are the only malls within about 50 miles, while Class D malls are shopping centers that are over-built, she said. “The future is the As and Cs,” Crooks said. “You need somewhere that’s got entertainment, sports, retail restaurants, office space. We’ve been moving in that direction in the last five years,” she said, referring to non-retail tenants such as the United Way of Aroostook, a church and a gymnastics center. But she said the mall has an opportunity to meet the needs of the community, with adapted space that could host schools or housing for seniors, for instance. Officials with Maine School Administrative District 1 have started conversations about building a new school in Presque Isle, as high school and elementary buildings are showing their age. Whether the mall could host K-12 classrooms is unclear, but Crooks said that it could be a fit for other educational needs, such as adult education programs. Crooks said she is in talks with several entities who could end up as non-traditional tenants at the mall, although she declined to specify any organizations by name.